So many science-fiction horror films focus on aliens, artificial intelligence and the unknown. But is there anything more terrifying than space itself? 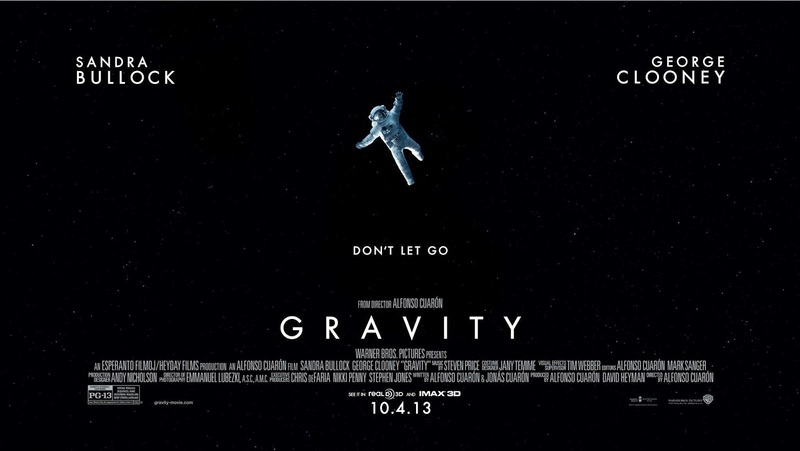 Gravity may not strictly be a horror film, but you'll be hard-pressed to find a more intense experience this year. Emmanuel Lubezki's cinematography is magnificent. The camera takes us from claustrophobic space stations to spectacularly expansive vistas, with subtle shifts to point of view shots that put us in the helmet of Sandra Bullock's Dr. Ryan Stone as she spins dizzyingly through zero gravity (at one point using a fire extinguisher in a nod to Wall-E). With very little editing, the film has a sedate pace that slowly draws you in as it ramps up the tension. The result is a film that explores the awe-inspiring beauty of space, as well as the frightening powerlessness of humans trapped in the vacuum of oblivion. "I hate space", Stone ironically claims at one point. It's the sound design that's truly remarkable through its verisimilitude. Speech is predominantly through comms, with crashing sound effects appropriately muted. For the most part, though, we are left with simply the silence of the infinite void, broken only by Steven Price's score that oscillates between brooding electronica and a soaring orchestra. Alongside the visuals, Gravity is truly a sensory experience. There's a significant shot part way through Gravity that sees Stone hovering in a foetal position within a womb-like capsule. As well as reflecting her childlike sense of helplessness, it highlights the main theme of the film: rebirth in the face of death. Death may be an inevitability, but by struggling through adversity Stone finds the will to live. It's a question of faith, whether religious (shown through various imagery) or simply belief in our own abilities. At the centre of this life and death dichotomy is an emotional, tour de force performance from Bullock - watching her tears float in zero gravity is a raw moment of humanity amongst stark science and technology. She is supported only by an ever-charming George Clooney and Ed Harris as the voice of Houston mission control, paralleling his role in Apollo 13. 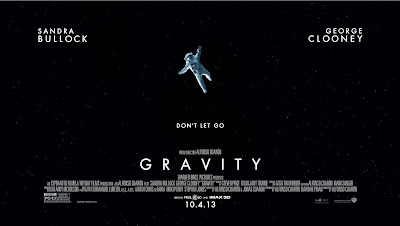 It might have Kubrick-esque themes, but the actual narrative of Gravity is simple and focused, which may leave you waiting for a twist. Yet Cuarón's film is rich with visual imagery, technical cinematography and extraordinary sound for a gripping, believable experience that emulates the wonder of space like no other film.